Last night we were treated to the excitement of “Storm Katie” – strong winds and heavy rain all night. We’ve just had our bathroom and lavatory refitted (I’ve been waiting 32 years for this, ever since we moved in!). One unexpected consequence is that the lavatory is now a resonant chamber for the wind blowing in the little window and escaping through the gap under the door – it HOWLS and MOANS and GROWLS and WHISTLES and generally makes an extraordinary sound. “Wuthering” doesn’t begin to describe it. Well, not a solution that I can personally implement – my cutting and sticking skills are limited to paper and glue. But this would sound a whole load better than the tormented howling we get at the moment. 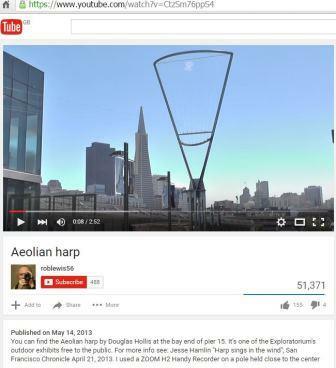 This entry was posted in The Jungle and tagged aeolian harp, wind. Bookmark the permalink.